Huge thanks to Mira Books for this copy! Also a Hallmark Channel TV Series! With two other careers to her credit before becoming a novelist and four states in which she's lived for extended periods of time, Sherryl Woods has collected friends and memories, along with way too much unnecessary junk. "The friends are the only things I've brought with me through the years that really matter," she says. "I could probably live without one more chintz teacup, another tin-litho sandpail or another snowglobe, but I need those friends." 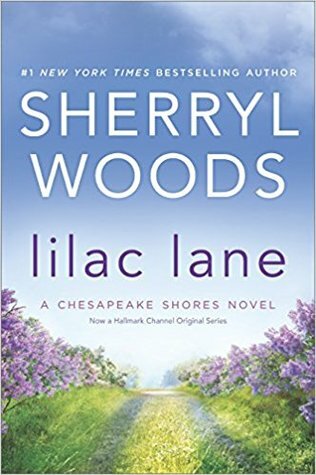 The theme of enduring friendships and families is always central to Sherryl's books, including her latest Chesapeake Shores series — THE INN AT EAGLE POINT, FLOWERS ON MAIN and HARBOR LIGHTS. Author of more than 100 romance and mystery novels, Sherryl Woods grew up in Virginia. Over the years she had lived in Ohio and Florida, as well as California. Currently she divides her time between Key Biscayne, Florida and Colonial Beach, Virginia, the small, river-front town where she spent her childhood summers. A graduate of Ohio State University School of Journalism, Sherryl spent more than ten years as a journalist, most of them as a television critic for newspapers in Ohio and Florida. For several years she also coordinated a motivational program for the more than 8,000 employees at the University of Miami-Jackson Memorial Medical Center. Her first book, RESTORING LOVE, was published in 1982 by Dell Candlelight Ecstasy under the pseudonym of Suzanne Sherrill. Her second book, SAND CASTLES, under the pseudonym of Alexandra Kirk, was published later that same year by Bantam. 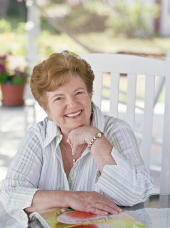 She began using her own name when she moved to the Second Chance at Love line at Berkley Publishing. In 1986, she began writing full-time and also began her long career at Silhouette Books with the Desire title NOT AT EIGHT, DARLING, set in the world of television which she covered for so many years. In addition to her more than 75 romances for Silhouette Desire and Special Edition, she has written thirteen mysteries — nine in the Amanda Roberts series and four in the Molly DeWitt series. When she's not writing or reading, Sherryl loves to garden, though she's not at her best on a riding lawn mower. She also loves tennis, theater, and ballet, even though her top spin has long since vanished, she's never set foot on a stage, and she's way too uncoordinated to dance. She also loves baseball and claims anyone who's ever seen Kevin Costner in "Bull Durham" can understand why.